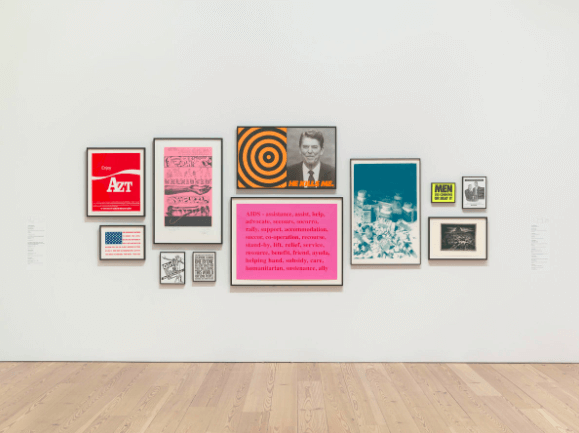 Join us for Queer Protest: No Idle Gesture, a free tour exploring gender, sexuality and LGBTQ perspectives in An Incomplete History of Protest: Selections from the Whitney’s Collection, 1940–2017. Tours are offered on the last Friday evening of the month at 7:30 pm. Josh Lubin-Levy is a Joan Tisch Teaching Fellow and PhD Candidate in Performance Studies at New York University. His dissertation, Uncollectible: Jack Smith and Performing the ‘Hatred of Capitalism, explores the intersection of collection and dematerialization in the postwar period. For the past ten years he has worked as a dance dramaturgy and performance curator and he recently joined the faculty at Bard College as a Visiting Assistant Professor in Theater and Performance. Aliza Shvarts is a Joan Tisch Teaching Fellow and PhD candidate in Performance Studies at New York University. Her doctoral dissertation, The Doom Performative, explores queer and feminist performance practices. Shvarts is a practicing artist and her work has appeared at MoMA PS1 and the Tate Modern. Her writing has appeared in TDR: The Drama Review, Extensions: The Online Journal of Embodiment and Technology, Women & Performance: a journal of feminist theory, and The Brooklyn Rail.